It’s stunningly beautiful, famously friendly and amazing value for money. But what should you know before you visit the Philippines for the first time? Consider this your cheat sheet. You’ve seen the photographs: crystalline seas, pristine beaches, delicious-looking food laid out on a banana leaf. But the story behind them is far more complex. The Philippines may be the perfect place to kick back, get a tan, and try unbelievable foods, but it’s also a cultural hotspot with a rich history and a way of life that differs wildly from the rest of the region. If you’re a first time visitor, here’s what you need to know. The Philippines' unique history – including a long period of Spanish rule – has resulted in a nation that is completely unlike any other in Asia. In many ways it feels more like South America than Asia, with a strong Roman Catholic presence and a very noticeable Spanish influence. It's also thanks to this colonial history that English is more widely spoken here than almost anywhere else in Asia. Front view of Paoay Church. Photo: Getty Images. This archipelago of more than 7,600 islands gives aspiring snorkelers their pick of the litter. (Visiting them all would take you close to 20 years.) If it’s tropical paradise you’re after, it’s hard to imagine a better spot than dolphin haven Panglao or the secluded Caramoan Islands, home to some of the most stunning beaches anywhere in the world (you might recognise it as the location of the 2013 season of Survivor). Virgin Island of Panglao. Photo: Getty Images. 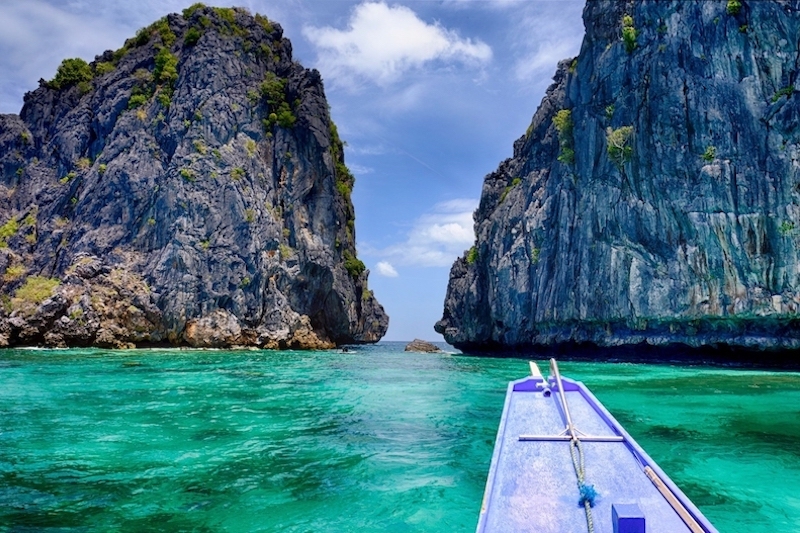 El Nido on Palawan Island is just a short hop from Manila, and boasts incredible rock formations and once-in-a-lifetime diving opportunities. To the south-east, Siargao is a surfer’s paradise, with a fabled break that wave riders will travel hours to experience. In the know island-hoppers head to Siquijor for a week spent relaxing at spectacular crystal-clear beaches and idyllic swimming-friendly waterfalls. It's just a short flight from Cebu, the Philippines's second largest city. You’ll find breathtaking vistas in Banaue, a town on the Cordillera mountain range on the island of Luzon, where stunning UNESCO-protected rice terraces have fascinated visitors and nourished locals for 2,000 years. 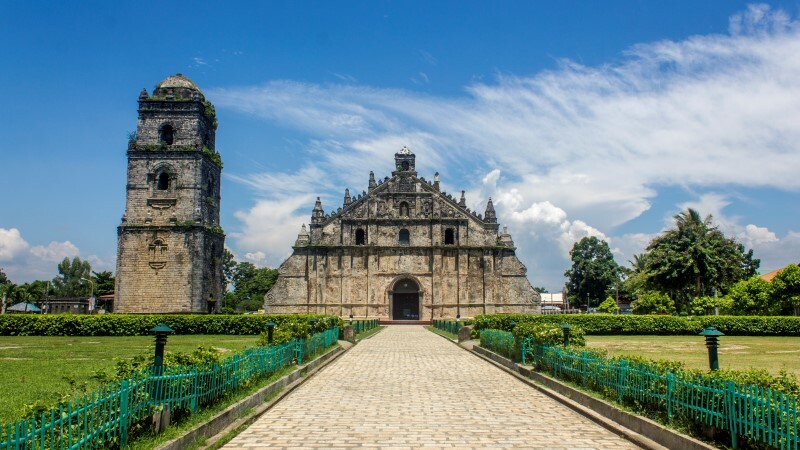 Not far from the Cordilleras, in the northwest of Luzon, the Ilocos region boasts some of the best-preserved historic sites in the country. 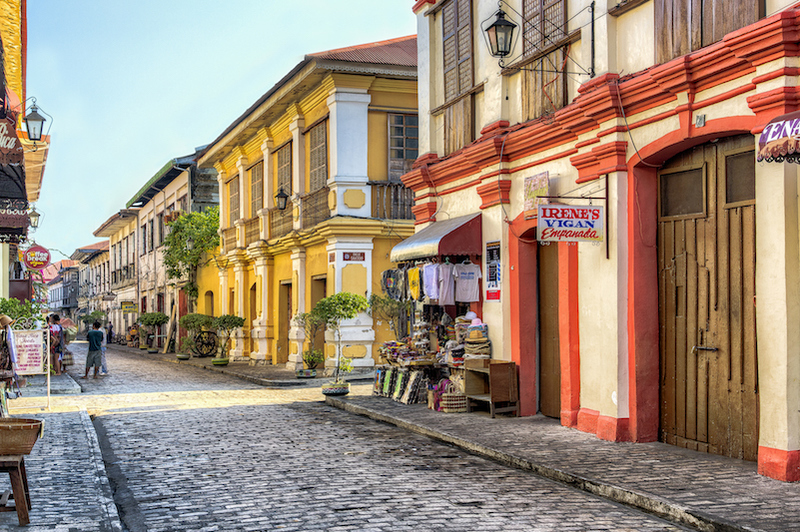 The highlight is Vigan, an enchanting city that dates from the 16th century, where horse-drawn carriages still trundle along cobbled streets. It’s a UNESCO World Heritage site, well worth spending some time exploring before you hit the beaches again. If it’s more buzzy city living you’re looking for, consider vibrant Zamboanga, sometimes described as Asia’s Latin city. The country’s capital, Manila, is a hustling, bustling metropolis. It may be the world’s most densely populated city, but the warm welcome you’ll receive from everyone you meet belies its tremendous size. A decade ago, Filipino restaurants were hardly known outside of the region. Now, the cuisine has been credited with inspiring chefs the world over. Once you try it, you’ll understand why: there’s something game-changing about the savoury funk of Filipino dishes, tempered with cool coconut milk. Vinegar and soy makes their presence felt in iconic dishes such as chicken adobo, and seek out out kare kare oxtail stew, ceviche-cousin kinilaw, and whole suckling pig, the national dish. 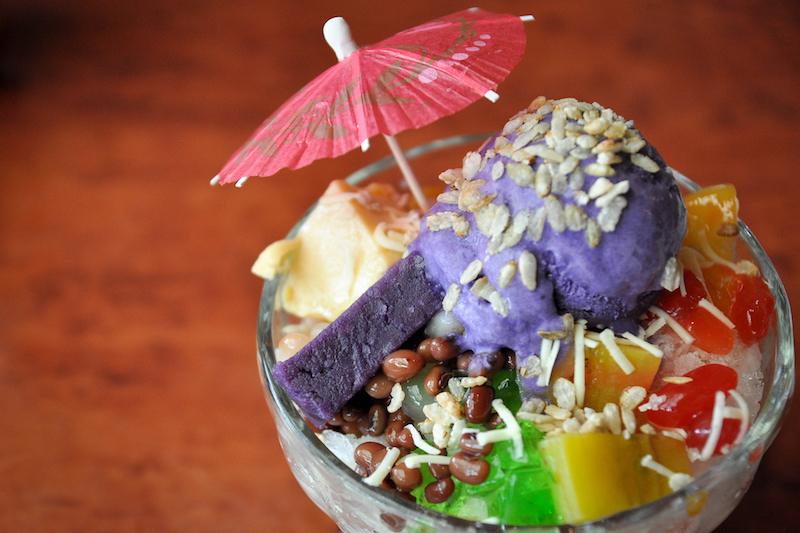 For dessert, halo halo (it means “mixed together”) combines ice-shavings, evaporated milk, and all kinds of sweetened goodies, served in a tall glass. It’s a shock to the palate, but you may find yourself yearning for it long after your trip. The tipple of choice, of course, is rum. 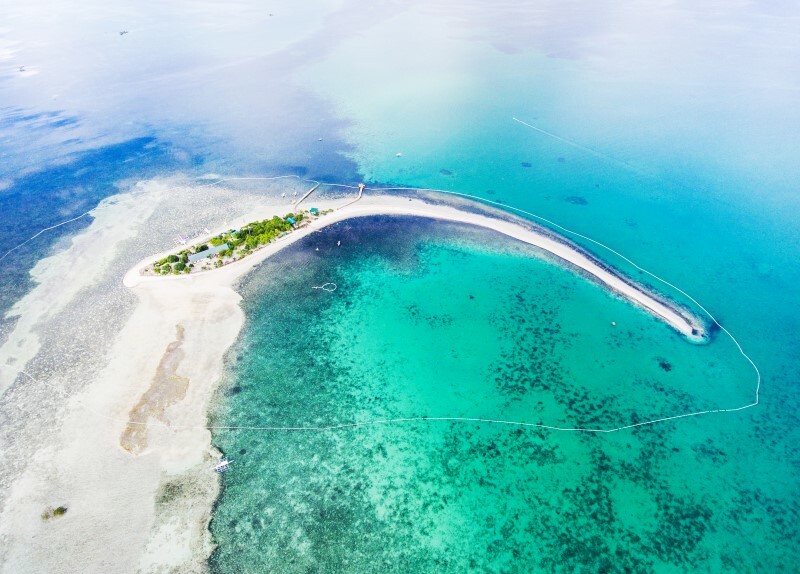 With literally thousands of islands to explore, the easiest and most cost effective way to get around is usually by air – you can get almost anywhere thanks to the many budget airlines connecting the capital, Manila, and second city, Cebu, with even the most far-flung islands. Keep in mind that with so many airlines to choose from (and so many tiny, off-the-radar airports) a travel consultant with access to industry-only flight planners will really come in handy when planning your trip. You'll likely also spend some time on ferries, which combine the practicality of easy island-hopping with the dreamy relaxation of tropical cruising. 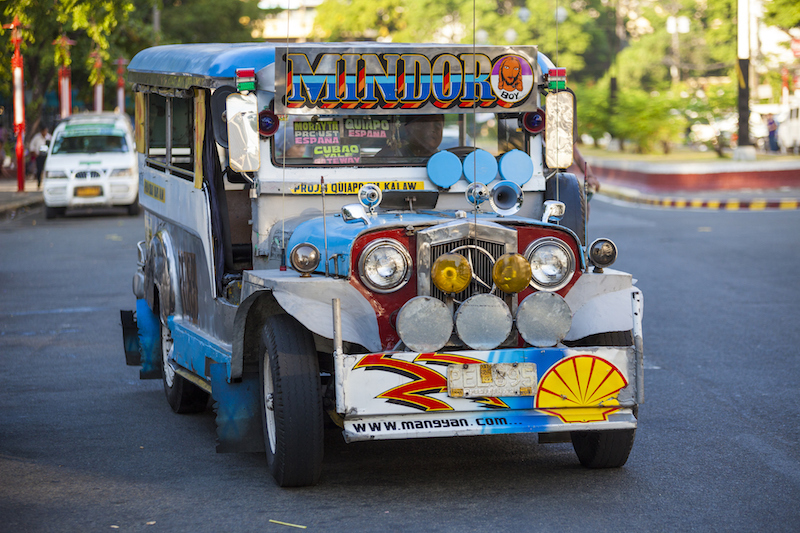 Once you’re at your destination, jeepneys – the uniquely decorated mini buses that have become a proud symbol of Filipino culture – are widely available. Travelling on the jeepney will be one of the most memorable and fun parts of your trip, but it's best to read up on jeepney etiquette first: paying for your ticket, for example, is done while the bus is moving, by passing money along to the driver. You’re all but guaranteed great weather during the dry season, which lasts from November to April, making it easier to island hop and make the most of the beautiful scenery. In March and April, temperatures begin to climb: November through February are cooler and more manageable for tourists. The wet season doesn’t necessarily have to stop your plan, however – just allow for a few showers, fewer people, and lush, green scenery. 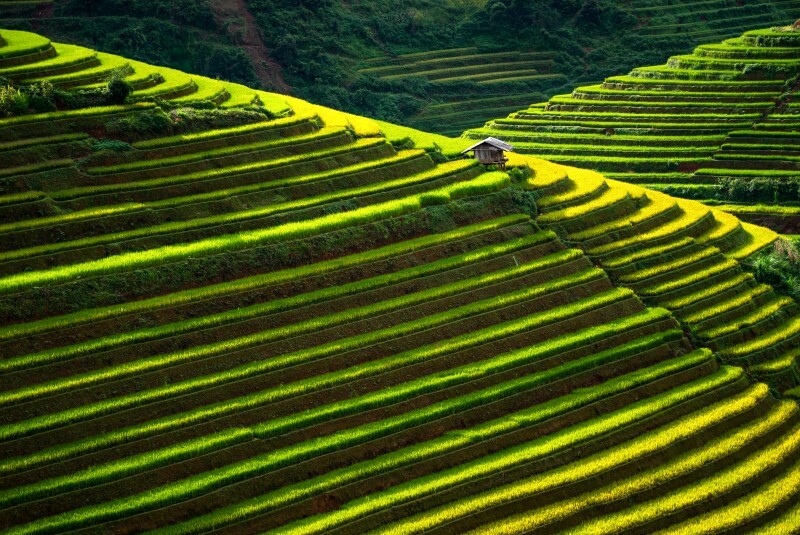 World heritage Ifugao rice terraces. Photo: Getty Images.